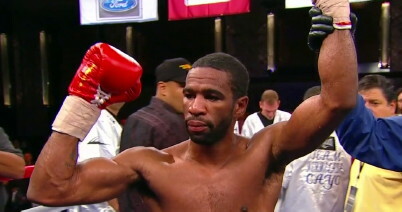 By William Mackay: Number #1 ranked IBF light welterweight challenger Lamont Peterson (29-1-1, 15 KO’s) feels there’s no way that IBF/WBA light welterweight champion Amir Khan (26-1, 18 KO’s) can come into his home town in Washington, DC on December 10th and beat him in front of his own fans. Peterson says it’s not going to happen. Peterson thinks Khan chose him to fight because Erik Morales said no to a Khan fight, and Khan wants to try and prove that he can top what WBO light welterweight champion Timothy Bradley did in beating Peterson by a lopsided 12 round unanimous decision in 2009. Peterson was also held to a 10 round draw against Victor Ortiz last December. Peterson explains that he had a bad cold on that night and he would have likely been knocked down by pretty much anyone in that fight because of the illness. Few boxing fans and writers realize that Peterson was sick on that night. The fact that Peterson was able to still come back in the 2nd half of the fight to dominate Ortiz after being dropped twice by him in the 3rd really speaks volumes about how excellent Peterson is. He’s got the talent, and he just needs a big win over Khan for the rest of the world to recognize that. If Khan thinks he’s going to use Peterson to prove a point that he’s better than Bradley I think he could be in for a big surprise because Peterson is going to muddy the water and possibly take him out. Bradley doesn’t know who to pick between them, saying that he thinks that Peterson could win if he makes it physical.